The accQpulse Velocity Profiler delivers accurate flow rate measurement in many size pipes and open channels. The accQpulse is capable of measuring velocity at multiple points making it suitable for most applications including sites with non-uniform, rapidly changing, near zero, zero or reverse flow conditions. Suitable applications include wastewater collection systems, billing, combined sewer systems and outfalls, wastewater treatment facilities, irrigation canals, industrial discharges and stormwater conveyance and outfalls. The accQpulse has options for both shallow and deeper applications. The shallow water sensor is capable of measuring flow in depths up to 48 inches ( 1.2 m). The deeper water sensor can measure flow in depths up to 16 feet (4.9 m). 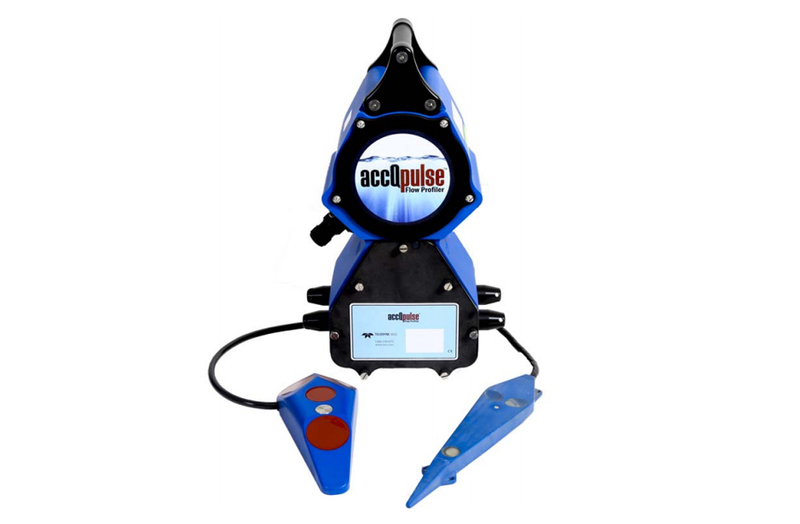 The accQpulse is encapsulated with a chemically resistant polyurethane so the sensor can withstand its environment and it eliminates the need for frequent cleaning. It's rugged, submersible housing meet IP 68 protection rating.